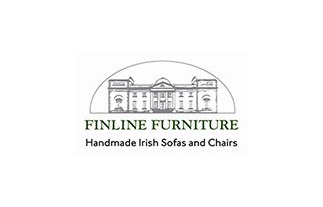 In 2011 Finline Furniture were solely a B2B sofa and chair manufacturing firm based in Emo, Co. Laois. Finline Furniture manufacture and supply quality soft furnishings to the major retailers in Ireland and the UK. 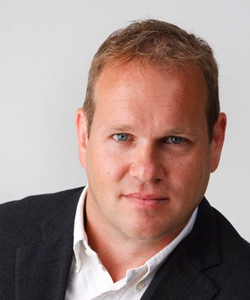 Their website had on average 800 visits per month but the company needed to diversify as the retail market was under continuing pressure with decreased demand and declining margins. Emarkable in conjunction with Enterprise Ireland worked with Finline Furniture to build their business strategy and company culture to develop into a B2C company while maintaining a B2B business in the UK. Emarkable in conjunction with Enterprise Ireland worked with Finline to develop a business strategy and company culture to become a B2C company. While Finline developed their showrooms in Emo (and subsequently in Cork and Dublin), we created a new digital marketing platform based on detailed competitive analysis, client research and market positioning. Emarkable developed an action orientated culture through training staff on digital marketing and providing measurement systems that were aligned with activity and business goals and objectives. Specifically we provided onsite geo-targeting to attract buyers from Dublin to Emo, reviewed their showroom and customer experience , developed links and social campaigns, inbound/outbound marketing, print and display as well as traditional advertising with monthly metric analysis and ROI reviews. This activity has allowed us to display and showcase products, with their many varieties of styles and fabrics to customers as far afield as the far east. Continuous content marketing and search engine marketing has allowed the visitor numbers to increase on a month by month basis. This is a ‘touch and feel’ product but the website has allowed the potential client to experience the vast range online. While this has increased interest in their products, this has also shortened the buying cycle as most showroom visitors are now well informed when they arrive in the showrooms. One year later, the company has opened it’s showrooms to the public and their website receives 18,000 visits per month. The market is still very tough but Ciaran Finnane is confident that the company is ahead of his competition and his in-house team are capable of developing the B2C business model to its full potential using the digital marketing processes and methodologies established with our programme.